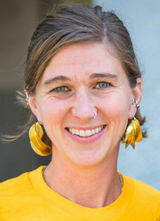 Amy Vanderwarker is Co-coordinator at California Environmental Justice Alliance. Lives in Oakland, California. Since joining CEJA in 2010, I have helped develop our Green Zones program, found the best coffee shops near the Capitol building, live Tweeted for the first time, coordinated our first major Community Congreso with over 150 community leaders, and looked at way more state statute than I ever imagined. Those indicating interest in attending, on Facebook included Amy Vanderwarker. Those invited, on Facebook included Amy Vanderwarker. This page was last modified on 18 September 2017, at 05:25.